Isabelle will also be a fighter in the upcoming Smash Bros. Ultimate. 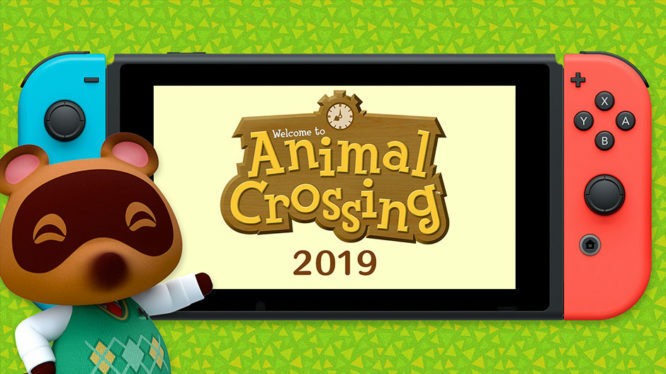 Last night’s Nintendo Direct ended with a bang, revealing that the Nintendo Switch will be getting an Animal Crossing game in 2019. The unveiling of the new game closed out the show and followed the news that Isabelle would be a playable fighter in Super Smash Bros. Ultimate when it launches in December. Animal Crossing started life on the N64 as Animal Forest in 2001. It wasn’t until the Gamecube’s release in 2002 that we saw Animal Crossing come to the west. Since its original release, Animal Crossing has seen a number of sequels including the 3DS’s Animal Crossing: New Leaf, as well as various spin-offs such as the popular Animal Crossing: Happy Home Designer or the universally panned Amiibo Festival on the Wii U. The games place players in a rural town filled with animals you can befriend and become neighbours with. As a life/community simulators, gameplay is infinite and open-ended with everything taking place in real time using the system’s clock and calendar. Not a lot is known about Animal Crossing on Switch yet but we do know that the game will be joining Luigi’s Mansion 3 in 2019. Combined with a new Pokémon game it looks like it’s going to once again be a jam-packed year for Nintendo Switch. Possible Animal Crossing, Luigi's Mansion & Daemon X Machina dates.